Our attorneys make it easily affordable to hire our law firm because we do not require any upfront payment to get started. In fact, we only received payment after we have obtained a negotiated settlement on your behalf or through a court award to resolve your case. You can start today without any upfront costs for all our legal services, investigations, court filings, settlement meetings, and taking your case to trial if necessary. Postponing payment of our services alleviates the financial burden of making payments to receive our legal assistance. Instead, you can still pursue a liability claim while using your energy to heal instead of worrying. Don't Attorneys get Paid More Than the Plaintiffs? Non-economic damages including payment for your pain, suffering, emotional distress, loss of participating in typical daily activities, and diminished quality of life. Working on contingency allows anyone who is severely injured through a defective product or medical malpractice to file a claim if they might otherwise not have enough financial backing to hold accountable those responsible for their harm. Your attorney will work hard to identify additional potential defendants to add to the lawsuit that might be financially responsible for your damages. Other defendants that could be added to your compensation lawsuit might include the hospital or surgeon that selected that specific device or medical device distributor that marketed the defective product as being safe. The process of identifying additional defendants is often complicated. However, your lawyer will use their legal expertise and comprehensive understanding of civil tort law to add more defendants when possible. Their efforts can maximize the amount of financial compensation you receive without requiring you to pay any funds upfront. If your attorneys can identify additional defendants, they will likely conduct more depositions and hire medical and legal professionals to provide expert testimony at trial, so you can reap the financial benefits when the case is settled or resolved in court. 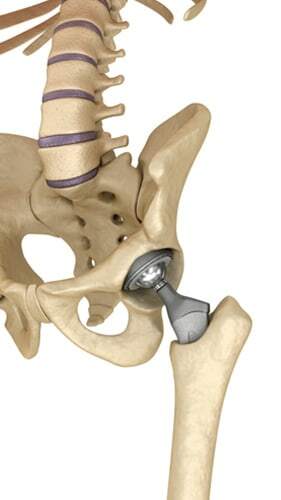 If a Stryker hip implant surgical procedure caused your loved one harm, their injuries might be the result of medical negligence or a defective medical device. The product liability and medical malpractice attorneys at Rosenfeld Injury Lawyers LLC provide legal assistance to patients who have suffered injuries after undergoing surgical procedures. Our attorneys have successfully prosecuted many defective medical device cases on behalf of our clients. We provide every client a “No Win/No-Fee” guarantee, meaning if we are unable to successfully resolve your case at trial or through a negotiated settlement, you owe us nothing. All information you share with our law office remains confidential.